Join us this weekend for some Rogue Valley beer-drinking fun! We’ll be pouring alongside 20 other breweries and distilleries at the Harry & David Field in Medford this Friday and Saturday. The Little Woody Barrel Aged Beer and Whiskey Festival will celebrate craft wood-aged beers from across the Northwest, along with small-batch American rye whiskeys, bourbons and barrel-aged ciders, during the third annual festival May 12-13, 2017. Seriously though, how could you get not excited about a festival chock-full of incredible brews, cider & whisk ey? The line-up this year is absolutely killer (check it out here) and if beer isn’t enough to entice your taste buds, the food trucks should do the trick. We hear local favorites, Peruvian Point will be there slinging their tasty Peruvian fusion cuisine along with All Smoked Out BBQ and more. 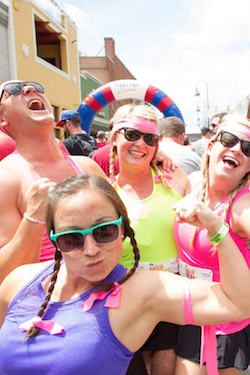 If running is your thing, than you won’t want to miss the Beer Run happening Saturday, May 13th at noon. 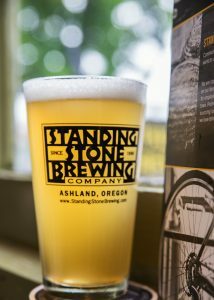 Grab your friends and lace up those running shoes– this 5k fun run around the Harry & David Field includes tastings from 10 Barrel and from yours truly, Standing Stone Brewing Co. We’ll be pouring tastes of our I ♥ Oregon Ale and Vienna Lager to quench your thirst while you and your beer-drinking compadres earn your brews for the day. After you finish, you’ll receive 6 tasting tokens, a Little Woody tasting glass and entry to the festival– all for $30 (sign up here). Speaking of beer lovers, our friends The Brothers Reed will be playing both Friday and Saturday from 6-10pm. If you’ve yet to see these guys perform, you’re in for a treat! We’ve had the duo out at the brewpub several times and love their music. Tickets can be purchased online for a discounted price ($30 for a VIP package say what?!) or at the gates. All ages are welcome Saturday until 6pm and designated drivers will receive entry for only $5. 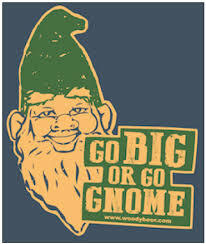 Check out the Little Woody Festival website for more information. We hope to see you out at the Little Woody this weekend! With the 2016 Shakespeare season closing and Summer long behind us; things have been slowing down around this little town of ours. We always appreciate the time to catch our breath and relax just a little before the Holiday madness kicks in. Though some of us are enjoying the little extra down-time, our brewer Larry Chase has been working away like a mad man up in the Brewery. We’ve tapped two new beers within the last 14 days– and we’ve got another specialty on deck for next week. We won’t divulge the beer that has yet to be tapped (rhymes with marley vine), but we figured we better share the news about our two latest specialty beers! This German-style Pilsner has been welcomed by many happy guests since its tapping. It’s not often that we brew Lagers (not sure about the difference between Ales and Lagers? Check out this link) and we’re always excited when we have them available to enjoy in our brewpub. With its light body and crisp, tingling carbonation– it fits the bill for those looking for a beer on the “lighter” side, while remaining a balanced beer full of bready flavors, herbaceous aromas, and a pleasantly appropriate bitterness. 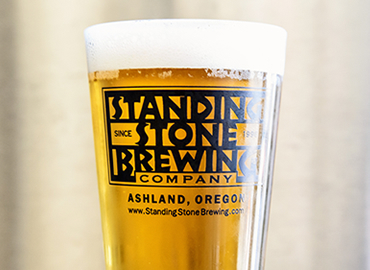 This is a thirst-quenching Pilsner that will carry you to Beer-vana and back to your barstool. 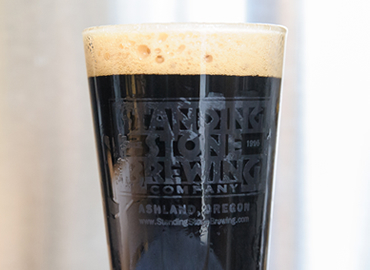 Over the past couple years, we’ve had a lot of you come into the brewpub and ask for a Porter. Though Steelcut Stout has been the beer that we’ve suggested for those in search of that particular style, we figured it’s time to give a go at it. I think we all agree, Larry really hit the nail on the head with this one. This opaquely, black as night Porter is everything you could want in a 16oz. glass. Its full body and velvety mouthfeel greets you at first sip, with a chewy richness and a grainy, dry finish. It has intense flavors of dark chocolate, notes of espresso and hints of dark fruits. This Porter is the perfect company for a dark, rainy day– but we would just as happily enjoy it on a sunny one too. 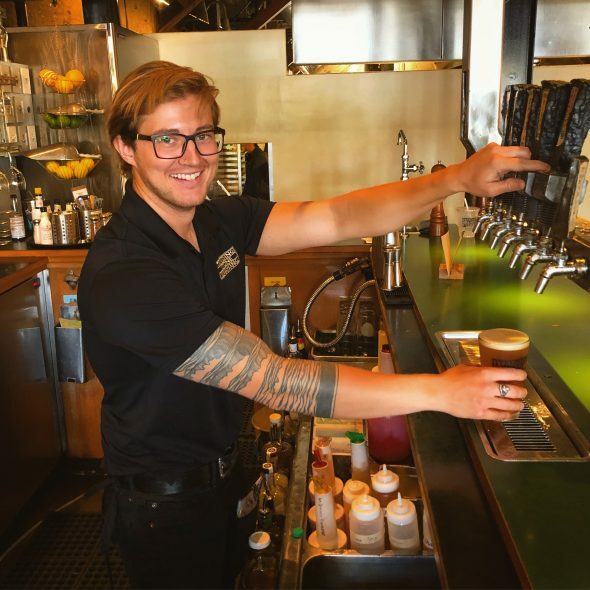 Next time you’re in the brewpub, give our brewer Larry a big bear hug. He’s 2-2 with some tasty brews that we think he hit straight out of the park. We love these new beers and while he’s slaving away up in the brewery, hauling grain and cleaning tanks– we promise to do our part and enjoy these new specialties with the utmost respect and admiration; sip by sip…it’s a tough job, but someones gotta do it. 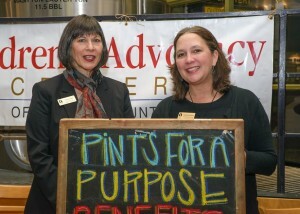 Last Call– Pints for a Purpose 2015/2016 application period ending soon! Well it’s hard to believe, but Summertime is coming to an end. If you’re anything like us, you’re probably scratching your head and wondering where the heck the past few months went. While we’re scrambling to get those last minute camping trips in and hold on to our totally awesome Chaco tans, ready or not, Fall is upon us! 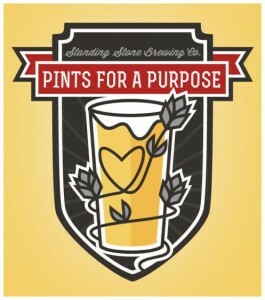 Kicking off the season at Standing Stone is the closing of the Pints for a Purpose application period (October 1st). All summer long we’ve had some incredible Southern Oregon non-profit groups send in their applications in hopes of being a Pints for a Purpose recipient for the 2016/2017 season. The first week of October, we’ll have our amazing staff of over 70 employees choose which t op five groups they would like to see become the next Pints for a Purpose beneficiaries. The recipients will each be given a dedicated benefit evening sometime Nov-March in which $2 from every pint of beer sold from 5-10pm will be donated to their group. It’s a great opportunity for members of the community to meet and celebrate the hard working and dedicated people behind our local nonprofits. It’s also a great opportunity to drink beer for a good cause. 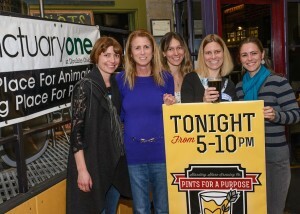 What more of a reason could you possibly need to be excited for Pints for a Purpose?? These are some of the amazing groups we’ve had the pleasure of working with in the past few years: Sanctuary One, Rogue Climate, CASA of Jackson County, Bee Girl, Friends of the Animal Shelter, Rogue Valley Farm to School, No LNG Campaign and Children’s Advocacy Center of Jackson County. Last season alone we raised over $2,000! 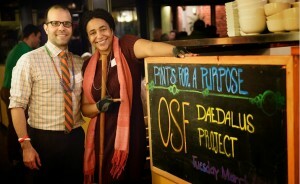 There is still time to tell your favorite local non profit group to submit an application! Applicants must be locally based, grassroots organizations with 501c3 status. The form is available online here along with more information about the program. Stay tuned– we’ll announce the 2016/2017 Pints for a Purpose recipients mid-October. We’re hoping to have a record-breaking season this year and we can’t do it without you all. Cheers to community and to drinking good beer for a good cause! We love beer. We love Oak street. We love drinking beer on Oak street. Introducing, Oak Street Wheat- our newest specialty beer, now on tap. This Wheat Pale Ale, a style brewed up by Larry Chase himself, is a creative twist on the standard Wheat. Brewed with Pilsner Malt and Wheat, this beer has the light body that you would expect from this style, but with a bit of a citrus, hoppy kick. We used a brand new varietal of hops, Belma, grown exclusively on Puterbaugh Farms in the Yakima Valley, which gives it a clean, citrusy punch and fruity aroma. It pours a hazy bright golden color with a thick white foamy head. Grassy and fruity in the nose (we smell peaches and stone fruits) with a palate of dry, grainy malts and hints of citrus; it finishes with a clean and lingering hop finish. Stop on by and give the Oak Street Wheat a try. Or even better- pack up those growlers (check out our Hydroflasks) and bring them by for a fill. It’s that time of year again to enjoy craft beer in the sunshine and beautiful outdoors. Have you ever wondered what exactly is the difference between an Ale and a Lager? Let’s chat about it. There are two different categories of beer- “Ales” and “Lagers.” Within these two categories are hundreds of different styles that can vary widely in taste, bitterness, color etc. Ales are brewed with a top-fermenting yeast, while Lagers are brewed with a bottom-fermenting yeast. What does this mean to you? Hold on for a minute while we geek out just a bit. 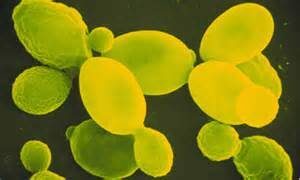 Top-Fermenting yeast or Saccharomyces cerevisiae as we like to call it, is the most common yeast out there. Chances are, you consume it on a daily basis. This is the type of yeast that is common in bread making, wine making and beer making. Pretty good stuff, right? 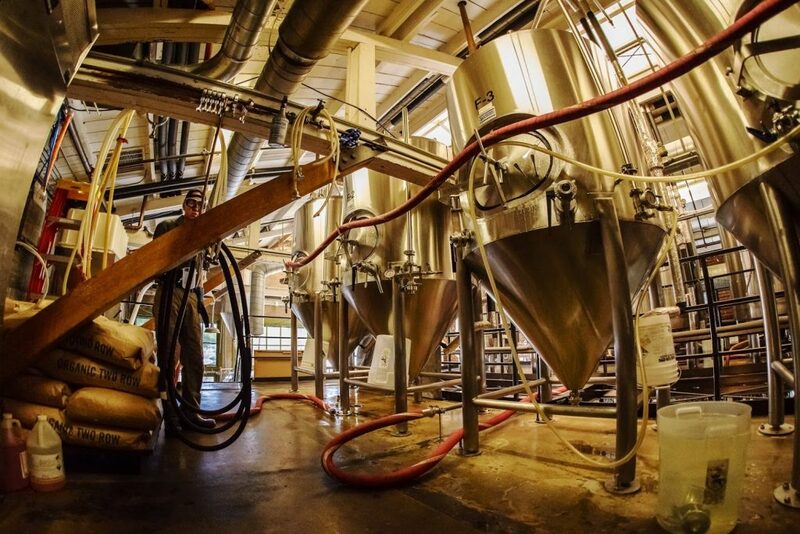 The reason we say it is top-fermenting is because as the fermentation process happens, the yeast cells circulate throughout the beer, magically converting the wort (sugary water) into alcohol and C02. As the process finishes, the yeast rises to the top creating a thick Krausen and if not removed, will drop to the bottom of the fermentation vessel. Ale yeast ferments at a warmer temperature (between 60F-75F), and because of this, reaches attenuation at a faster pace than Lagers. Our brewer Larry checking on the yeast culture. Saccharomyces uvarum (Bottom-Fermenting) yeast cells work from the bottom up, at a slower pace and a colder temperature (46F-59F). The term “lager” comes from the German word “lagern” which means “to store.” The discovery of lager yeast is believed to have been made in the Middle-Ages when Bavarian brewers fermented and stored their beers in ice caves over the winter. Because of the longer, colder fermentation process, Lagers are generally very crisp and clean tasting. Did any of that make sense? We hope so, but let’s be honest, at the end of the day- Ales or Lagers, we love them all! 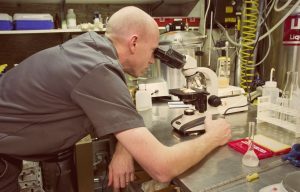 Want to learn more about Yeast and the process of fermentation? Check out this video! Tuesday, March 3- from 5-10pm is the final Pints for a Purpose for 2015/2016. We had an incredibly successful year because of your support and the hard work of the organizations involved. We are ending this season with a BANG! The Stand Up For Oregon! NO LNG. NO Pipeline is a coalition of organizations, landowners, businesses, climate activists, conservationists and concerned citizens working to stop the Jordan Cove Energy Project. The project consists of a 230 mile pipeline and a gas export facility. The pipeline would run across Southern Oregon from Malin to Coos Bay, where the export facility location is proposed. The pipeline would transport up to 1.2 billion cubic feet per day of liquefied natural gas (LNG) from the Rockies and Canada to the export facility. Once there, it would be stored and then loaded onto mega-tankers for transportation to foreign markets. From a conservation perspective, this project possesses a significant threat to Southern Oregon’s rivers, forests, and people. The pipeline would require a 100 foot wide clear-cut, which would cross nearly 400 waterways, and cross farms and family properties regardless of the property owner’s objection. The export facility will require dredging of Coos Bay to allow passage of the transport tankers, a 400 megawatt processing facility, and huge storage tanks within the tsunami hazard boundaries. This facility, if allowed to operate, would become the largest greenhouse gas emitter in Oregon. 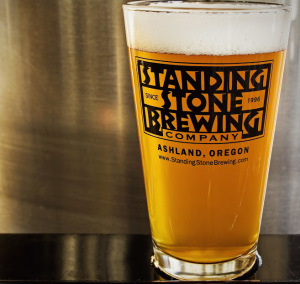 As part of our mission at Standing Stone Brewing Company, we believe in smart resource use, renewable energy, reducing greenhouse gas emissions, and supporting causes that align themselves with our mission. The Stand Up For Oregon! NO LNG. NO Pipeline campaign encompasses many of our values and we look forward to supporting their work by opening our doors to their organizations and by donating $2 from every pint of beer sold between 5-10pm. 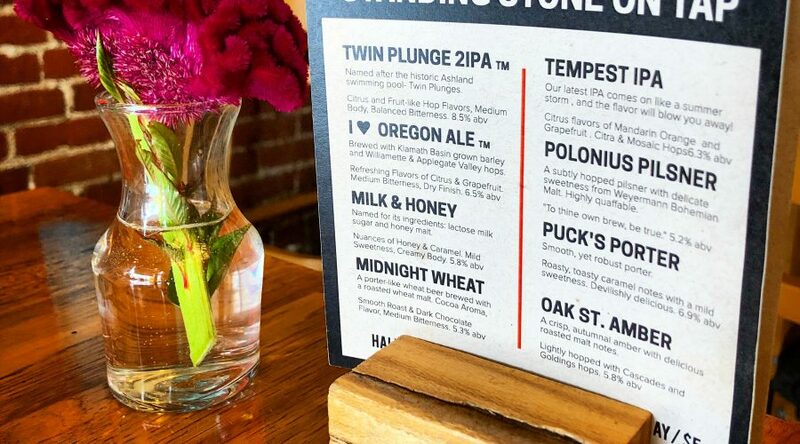 We hope that you will support this cause and stand up for Oregon by drinking one (or two) of our delicious craft beers. Families welcome! 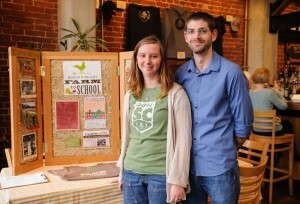 Click here to read the Medford Mail Tribune’s article on this project. “What do you have that’s light?” If you work in a brewery, restaurant or bar, you are very familiar with this question. I think it’s safe to say that it’s something we hear on a daily basis. 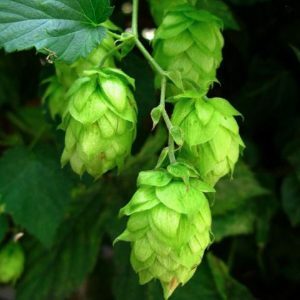 In a time where brewing trends are seeing a high demand for beers that push the envelope in terms of bitterness and high alcohol percentages, a large portion of consumers still want to enjoy something that is simple, light and crisp. And we get that! Sometimes, even for us hop-heads, it’s nice to drink a beer that doesn’t make our tongues feel like they’re being lit on fire by a swarm of angry bees. Light beer is reminiscent. It reminds us of long, hot summer days, barbecues and camping, beach trips and coolers, Grandpa on his lawn chair, football Sunday–the list goes on and on and on. 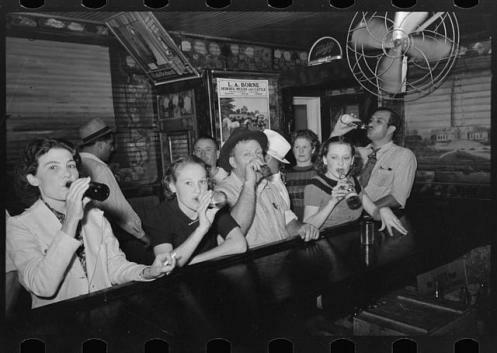 America has created a lifestyle from drinking light beer. We believe that light beer doesn’t have to imply tasteless, corporate beer out of gimmicky cans that change colors when cold. We brewed Commuter Gold for those that want to enjoy something a little lighter, and a little more simple. Named after our RPM Bike Program, this beer goes hand in hand with that outdoorsy lifestyle we hold dear here in Oregon. So head on down to the brewpub and grab yourself a pint of this deliciously refreshing beer. 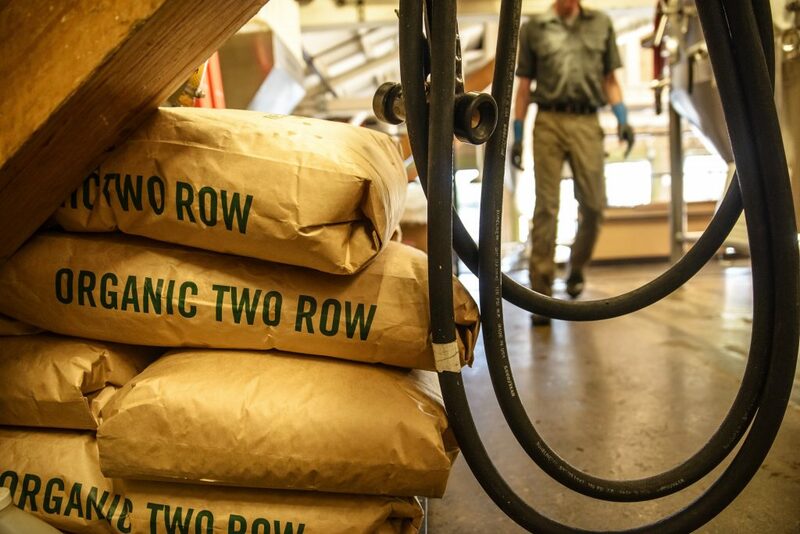 Let’s raise a pint to simplicity and a long heritage of American craft brewing.